I haven´t been writing for a while and I´m not sure if I remember all of it anymore, but I´ll try :D. I didn´t go to a lot of workouts so it shouldn´t be so hard. On the 5th of September I did the above workout. And I remember that I was really happy with it. I did it in 39.57 minutes if I recall correctly. I did knees to elbows instead of toes to bar. And I remember that one of the rounds I managed to do all 15 in one go and that felt so good!! 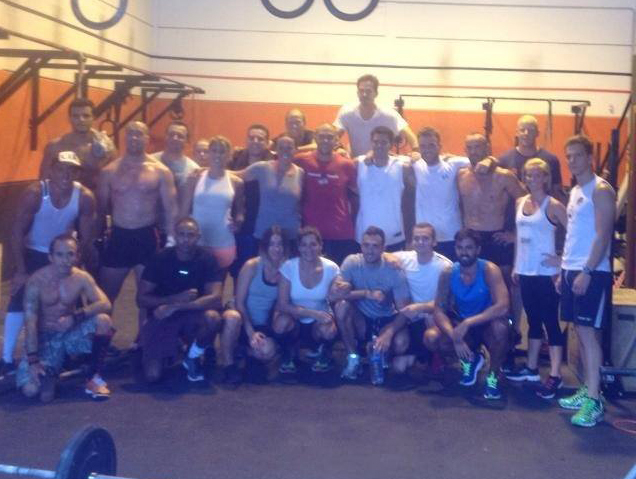 Saturday september 7th we did a Hero workout “Manion”. Which is 7 rounds of 400m run and 29! back squats 135/95lbs. I did the back squats with 20kg bar and 10lbs on either side so that´s about 30kg. I think. I´m not sure if I remember correctly. Maybe it was a 15kg bar. I think it was 20 though… We had a timecap too, but I´m not sure what it was.. I think 40 minutes. I think I did 4 rounds.. But I don´t really remember this one very well. I do know that I really tried to do my squats properly and that it was quite heavy haha. On the 9th of September I kind of screwed up. We started practising some technique for pistol squats and double unders. I managed to do 2 double unders in a row for the first time (until now I could only do one). After that we did Nancy: 5 rounds of a 400m run and 15 overhead squats. The overhead squat was a new move for me and it felt very awkward. Basically you hold the bar above your head with straight and locked arms. It feels like you´re over stretching them. You have to put pressure on (almost like you want to snap the bar) to make sure you don´t drop it. While keeping the bar up there you do squats (and feel like falling over :p). We did some practising with just a stick first and when it was time to do the wod I did it with a 15kg bar. During round 2 I noticed my left arm had started sleeping. It slowed me down a bit because it was distracting. At some point I asked Rich if that is normal to happen and he said I shouldn´t worry about it. It didn´t hurt, so I continued. I don´t remember my time. We didn´t have a time cap so I did the full 5 rounds, but I didn´t look at the clock… The whole time my underarm and hand kept having the sleepy pins and needles feeling. And this feeling never went away. I still have it now. It´s mostly only in my thumb now though. On Tuesday I went to the doctor and she sent me to the Neurologist on Wednesday. He told me I have a trapped nerve and to find out where it´s trapped I need to get an EMG scan. I´m getting that scan today. He also told me that I could do everything as normal as long as it doesn´t start hurting/gets worse. And it hasn´t gotten worse.. it doesn´t hurt. It´s just an annoying feeling. And to be sure I did decide to take it easy on the workouts. So I didn´t go to crossfit for a week. Last Monday I finally went again. But I did skip on doing the Thrusters, as I didn´t want to have my arms overhead like that again before having my arm checked out properly. Instead I used that time to practise my double unders. And this time I got up to 4 in a row! Progress!! We didn´t end up doing Annie as too many people showed up. Instead we did 16 minutes AMRAP in pairs of 20 double unders/2o situps while the other one did a medballwalk up the hill. So basically one is doing as many double unders/situps in the time that the other takes a medball and runs it up the hill and back. We started before I even realized so we forgot to get some chalk to write down our reps, but I think we did pretty good. I just did singles instead of double unders though. I had been practising it before and just wanted to get a good workout in instead of stumbling around with the double unders. Then, yesterday I went again. We had a 36 minute time cap and I ended up doing 4 rounds in 36.5 minutes (with 10lbs ball). And now I feel completely worn out. This work out was so hard for some reason! I already had trouble getting through my reps in the first round. And during the first run I seriously thought about giving up because I struggled getting through it so much. But I kept going, albeit very slow. And when I finished my wall balls in the 4th round and the clock was on 35 minutes I considered of course to call it a day but ended up doing a sprint to try and make the run in the last minute anyway. So in the end I was happy with pushing through. But damn, do I feel it now! I haven´t felt this “empty” since the first week I started crossfit. It probably didn´t help that it was 30 degrees outside. But I think I could really feel that I haven´t done any sport really in the last week. 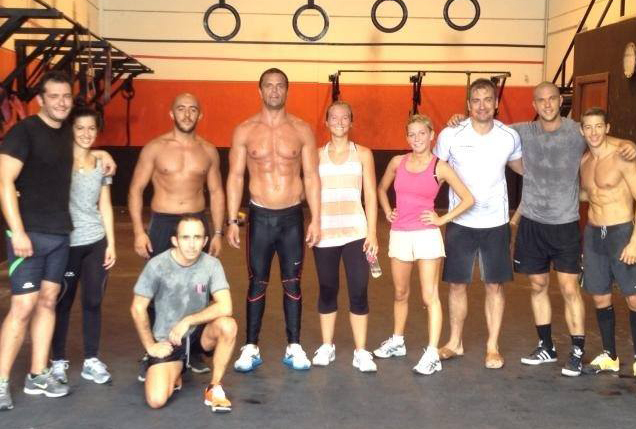 It´s been two months now since I started CrossFit and I´m still loving it. This month I don´t think I changed so much physically, but I can really feel the difference in my energy and strength. I did make some pictures the other day and I´ll post them later. I really hope they can fix my sleepy thumb soon so I can stop worrying about it. But, I did do a lot of other working out. It was actually a very nice week for me activity wise. After that last WOD last monday I went for a run on Wednesday. I went in the mountains and the run started with going up up up for the first 10 minutes and I was able to keep on running. Which made me so happy!! 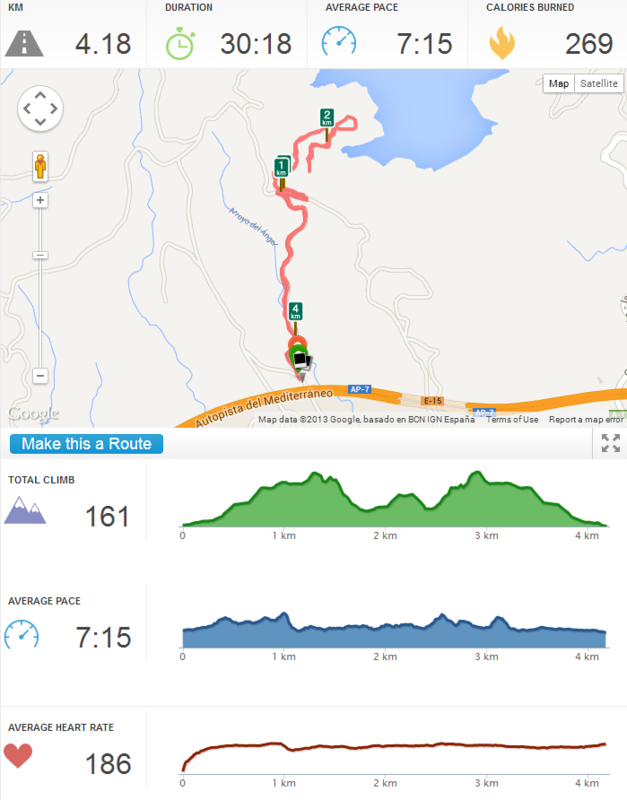 Because I hadn´t been running for a while and I always really struggle with any kind of elevation. So for me it was a personal victory to manage to go up all the way without falling back into a walk. Then on Thursday I did my very first home WOD haha. I had a bad headache so didn´t want to go to the gym, but in the end I got bored at home and felt like doing something anyway. So at home I did 70 burpees, 50 squats, 50 sit ups and 25 pushups. On Saturday I went to the beach for my first solo kite session. Well, bodydrag session. 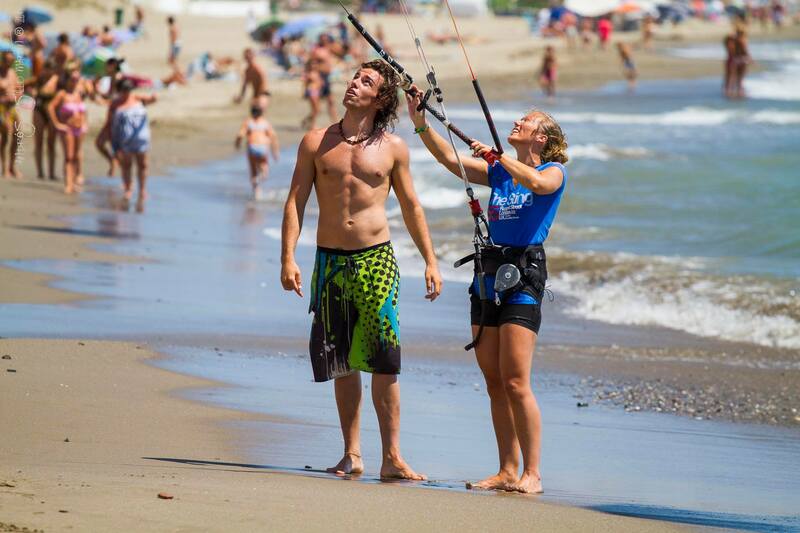 I´ve had a few kite lessons and have now bought my own kite to practice with. But I haven´t had a lot of time to practice getting up on the board yet. I tried a little bit this Saturday, but there wasn´t much wind and I was struggling. But it was still fun!! Then, on Sunday, I had the biggest challenge! A 10km run. I had never run more than 6km so I knew this was going to be hard. And I never run when the sun´s out either and this was right when the sun was out with 30 degrees C. So I was a bit worried. And rightly so. 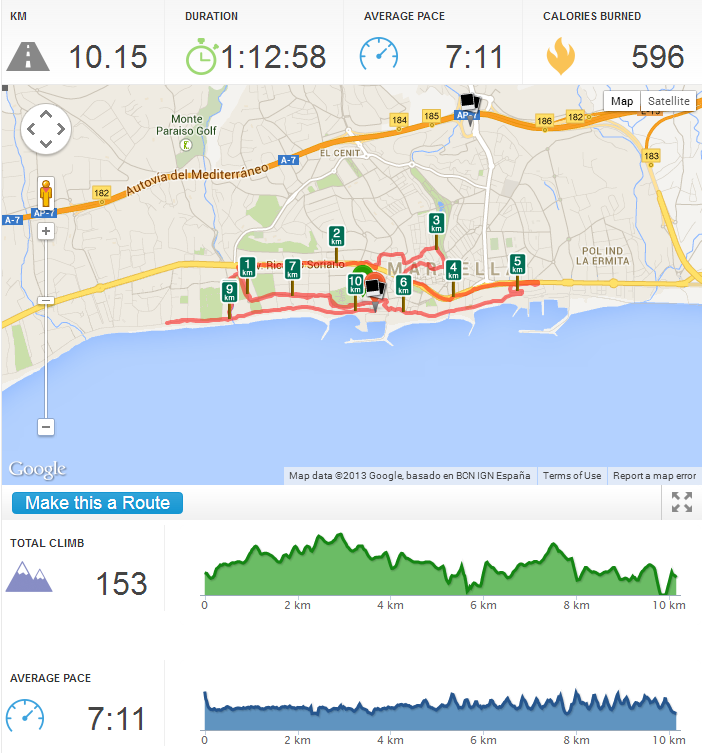 The first 5km were really nice and I ran them quite fast (improved my record! ), but after that it just went downhill. I had to take a lot of walking breaks and it really was very very hard mentally to just keep on going really. But I made it in the end and even ended with a sprint to keep the clock from going into the next minute. I´m happy with the result, but I won´t be doing that again any time soon ;). Tuesday I finally went to the gym again and did the following workout. I tried to do it RX as much as I could. Which meant I did the push ups properly (not from the knees) and the snatches with 25lbs (as was written on the board). The double unders I unfortunately still can´t :(. During the warm up I managed to get a few in, but I can´t do two in a row yet so it would take me forever to do 30. Instead I had to do 120 singles per round. Handstand push ups I still can´t do either so had to do 8 wall walks per round. The pull ups I decided to do with the green band, which is much harder than with the black band. We had a 30 minute time cap and I made it almost through 2 rounds. In the second round I skipped the wall walks so I could finish the pull ups. I felt good about it though, because I was using more strength than before so hopefully I´m building strength with that as well. I really want to try to follow the weights and things a bit more now.. which will mean I´ll be even slower than before haha, but I think is probably the best way to improve. Anyway, not a lot of workouts at the gym, but a good week nonetheless. I have been slacking a bit with the eating habits though. And struggling with the headaches. I have one now as well and I want to go to the gym tonight, so hopefully it will go away in the next couple of hours.